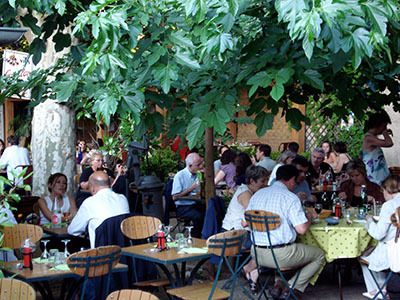 Campagne is located near the cathedral of Fourviere, out of the center of Lyon. The restaurant is relatively comfortable. While the decor is very simple, typical of a traditional “bouchon”, the delightful inside courtyard is the reason why people go there. The service was very good. Our waiters made genuine efforts to please us. For starter, I had the salmon roll. 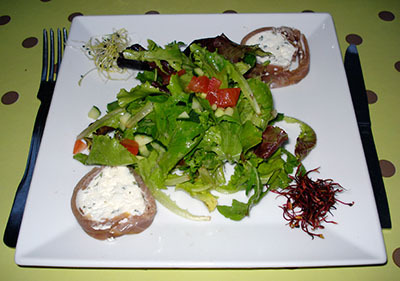 The smoked salmon, rolled on fresh goat cheese, was served with a light salad. The combination was not only interesting but very good. As main course I had the chicken supreme. 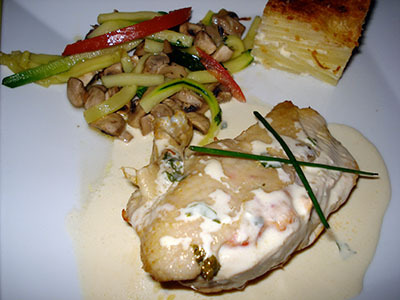 The chicken supreme was served with potato gratin and vegetables (mushrooms, zucchini and peppers) and a nice creamy sauce. The chicken was very tender and the sauce was very tasty. The potato gratin was a very good complement. 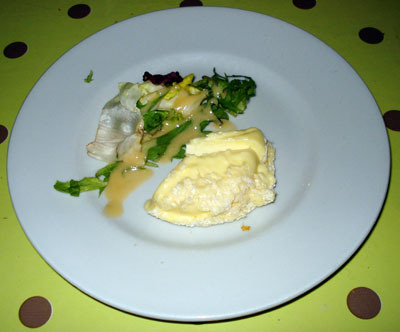 After the main course, I had a very traditional Saint Marcellin cheese that was served with a little salad. The cheese was just right: mature but not too much. For desert, I had another very traditional dish from Lyon, a praline tart. 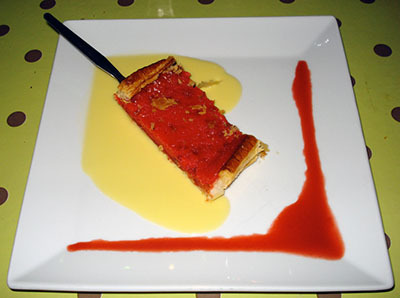 Served with a creme anglaise and a strawberry coulis, it was really good. Around $50, including drinks (aperitif, two glass of wine, sparkling water and coffee) and tip. 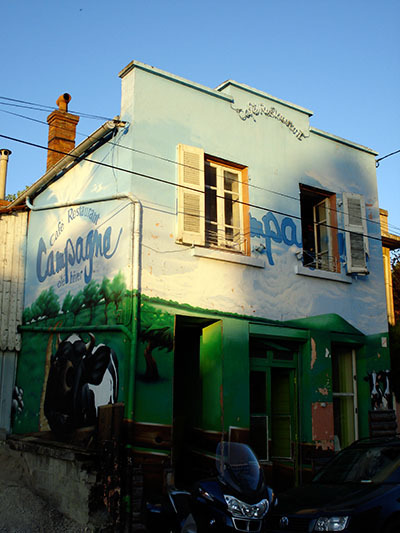 Considering the restaurant, the atmosphere, the food and the current exchange rate (close to 1.6 dollars for 1 euro at the moment), Campagne is definitely a good value for money. I will come back.